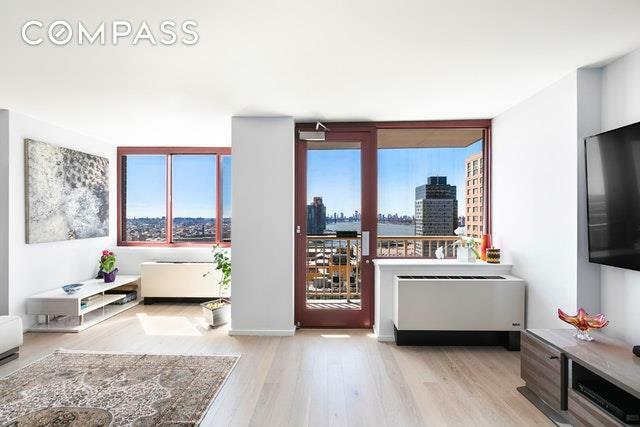 As you enter this newly renovated and incredibly spacious apartment, you are greeted with gorgeous oversized windows with Southwest exposure that fill this beautiful one bed, one bath with sunlight. Features include an open Italian kitchen, hardwood floors, a Japanese style bathroom, and a stunning view of the water from the private balcony. 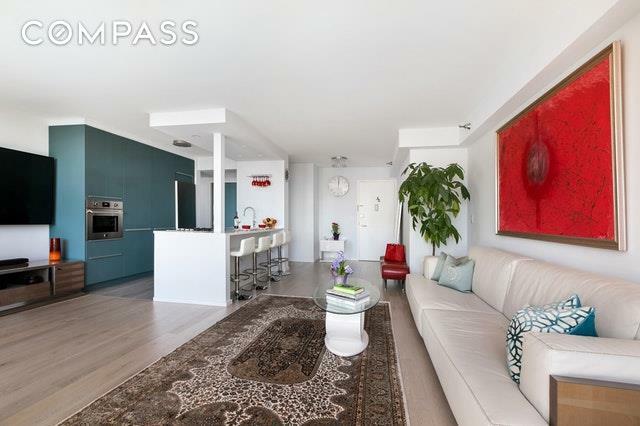 The large open living area could serve as a living room, plus a home office and dining room! 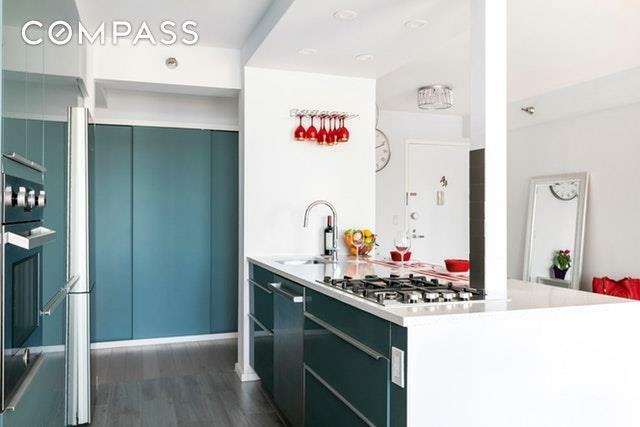 With plenty of closet space for storage, this apartment is truly a rare find!Citylights is a full service building with a full time doorman, concierge, garage, tennis courts, roof deck, fitness center that includes work-out classes within the maintenance fee cost. In addition there is a sauna, bike room, and laundry room is on site. Below the 522 unit building is 5 floors of retail space comprising of a Spa, dry-cleaner, elementary school and early learning center comprise the bottom portion of the building. Fantastic waterfront park Gantry State Park is steps from the front door. 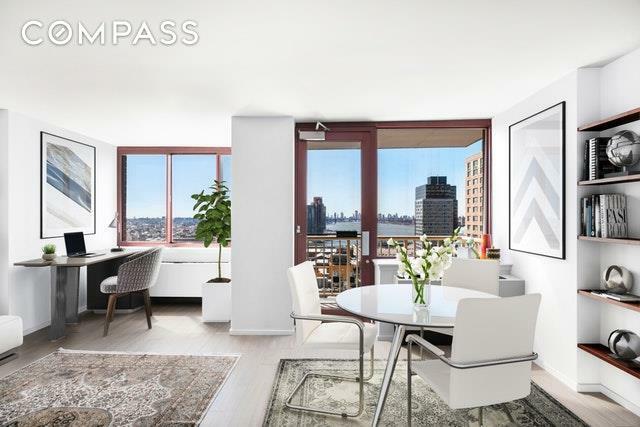 CityLights is furthermore situated minutes from Manhattan via the 7 train, ferry and in close proximity to Hunter Point LIRR station heading out to the Port Washington Line.